Use of mobile phone while driving is not only hazardous for the driver but also a nuisance for the following traffic as a distracted driver while texting slows down right in the fast lane - much to the agony of the followers, beside a likelihood of accident. 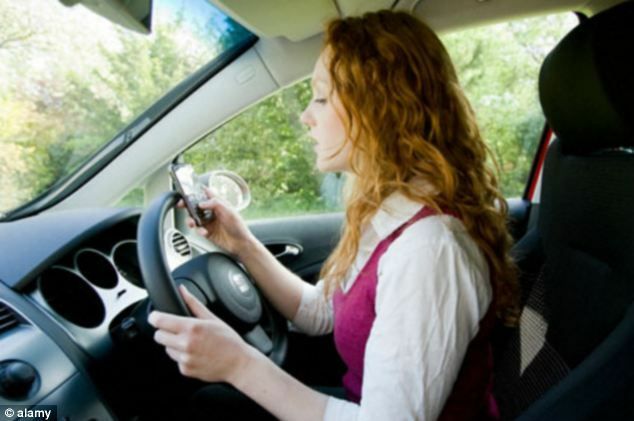 UK has announced that the fines for texting while driving will be increased by 50 per cent from £60 to £90. Announcing the crackdown, UK Transport Secretary Mr McLoughlin admitted he had used a mobile phone to make calls while driving, although he would not do so now. However critics said the higher penalty has to be backed up by tougher enforcement as texting by drivers is now rife.